This 79th Training Division Unit Crest Denim Shirt is made 6.5 oz. 100% cotton denim, Button-down collar with woodtone buttons, Three woodtone buttons on adjustable placket cuff, Double-needle sittching throughout, felled seams, Left chest pocket, Two-ply back yoke and locker loop, and a seamless body with set-in sleeves. Each denim shirt is embroidered in the USA with high quality Rapos thread and is available in 2 colors. Custom text can be added beneath the insignia from the drop down menu above. 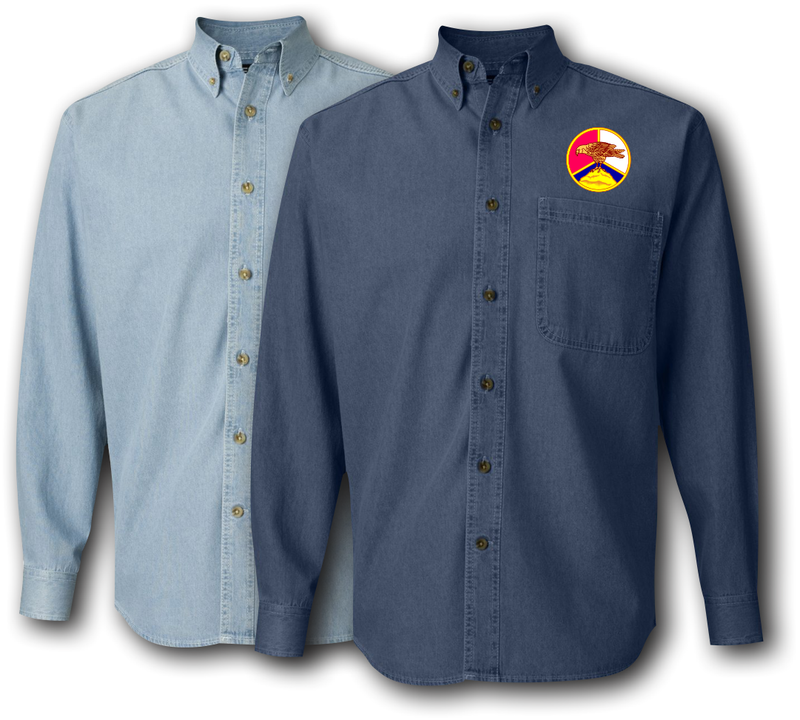 This 79th Training Division Unit Crest Denim Shirt would make a wonderful addition to your collection or a great gift! It�s quality is guaranteed.